We are Professionals— JUDr. 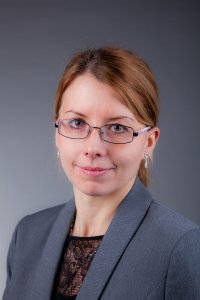 Daniela Ježová, LL.M., Ph.D.
She specializes in European and international law in her practice and also in her professional publications. She regularly participates in national and international conferences, where she takes an active role with contributions and thus she keeps informed about new developments and legal trends. She regularly deals with cases with international and European elements. She has experience working in an international environment. She has a special relationship to family law, which includes divorce, parential rights and obligation to minor children, visitation rights with minor children, paternity, alimony, splitting assets after divorce (property of spouses). Her aim is to reach an agreement which leads to the satisfaction of all parties (win-win situation). Divorce is such an important event in life than marriage and it is needed to pay special attention to it. She has experience with real estate law, whether relating to the sale, purchase a house, apartment, land lease and representing developers with the full implementation of projects, apartments, office space, shopping centers. Buying and selling property is decision, which greatly affects the lives of everyone. It is very important that the contractual documentation protects buyers and sellers. Real estate agencies often provide very simple contracts without providing sufficient legal protection against the occurrence of future problems. She has extensive experience in representing clients before courts in litigations and arbitrations. Court proceedings require long practice and advocate specific characteristics and experience. It is necessary to react fast, to know the relevant jurisprudence in other similar cases. She is counsellor at American International Commercial Arbitration Court. She has experience in debt collection, contract law, international law and European law, employment law. She is registred in ResInfra@DR Registry of Research Infrastructure Reviewers in the Danube region countries. She is a member of editorial board of legal magazine Projustice, registered reviewer of the international scientific conference Sapere Aude, CER, and Masaryk International Scientific Conference.